Use the form below to contact tour Fruska Gora Monasteries and Sremski Karlovci directly. Slopes of Fruska Gora and Sremski Karlovci are significant places for Serbia’s history, culture and national heritage. For number of visitors of Serbia these places are „a must“, and there is a firm reason for each of them. For some, it’s a place of spirituality, thanks to eighteen living monasteries. Others see it as a region of wine with more than 60 wineries. While for the others, it`s just a place of beautiful nature in National park of Fruska Gora. 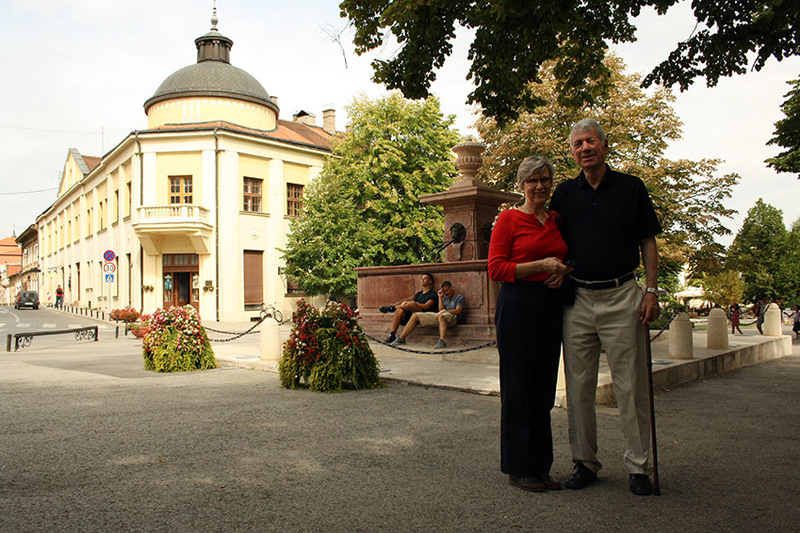 The Town of Sremski Karlovci combines all of it: history, religion, wine and beauty. 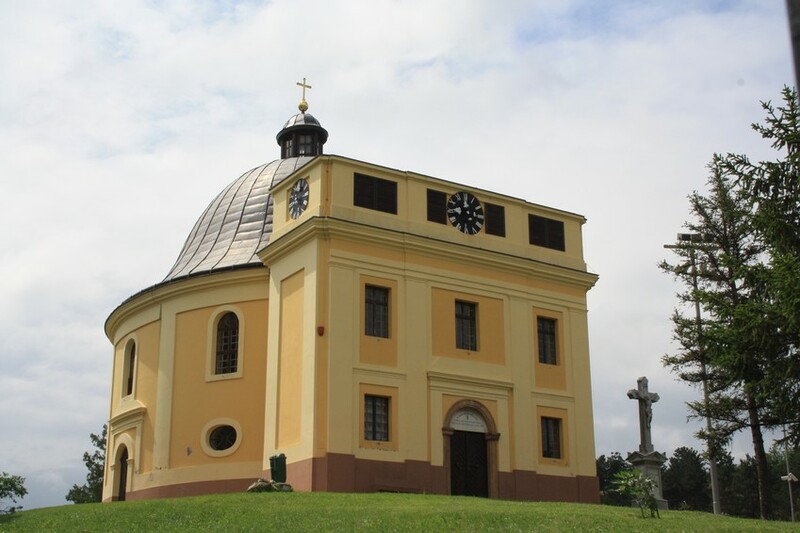 With this tour to Sremski Karlovci and Fruska Gora monasteries you’ll get good comprehension on historic aspects of this area. But that is just part of the intention we had in mind with this tour. You’ll also have an opportunity to try local food and wine, and to interact with locals in order to understand life here better. This tour’s itinerary can be rearranged in order to exclude some points, but to add Novi Sad to the itinerary instead. If you travel alone and on a budget, visit our shared tour Monday tour to Fruska Gora and Novi Sad which runs only on Mondays, year round. #YourSerbiaHost will pick you up from your hotel or other address in Belgrade (or Novi Sad) in the morning hours. After less than an hour drive we reach our first stop, monastery Krusedol. The XVI century monastery is considered for the most beautiful and most important monastery of Fruska Gora. It was seat of the Diocese of Srem, which was later transferred to Sremski Karlovci. Relics of members of holly family Brankovic are placed inside of the church and many important people are buried there as well, such as two Serbian patriarchs and King Milan Obrenovic. From Krusedol we continue to monastery Grgeteg. 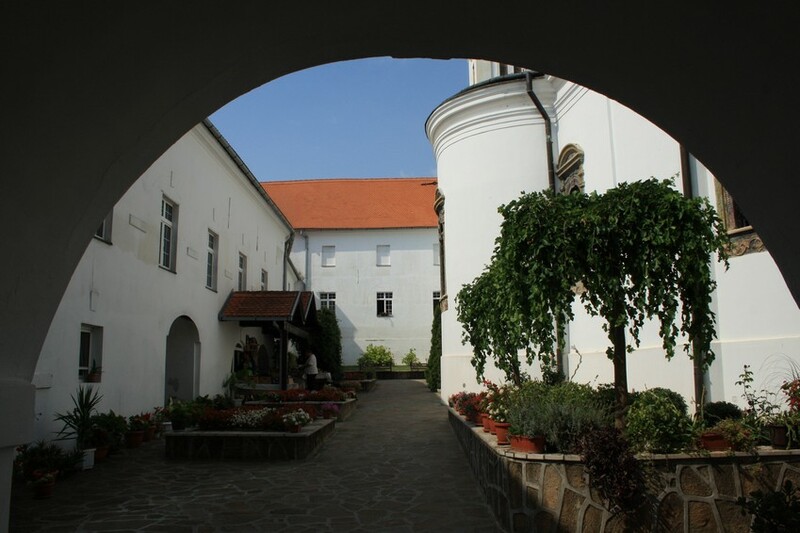 This monastery with complicated name, even for local native speakers, had a legendary founder whose name known in epic poetry was Zmaj Ognjeni Vuk. Translated literally it means “Wolf the Fiery Dragon”. Today this monastery enjoys great respect among Fruska Gora monasteries and one of the reasons is the icon of Holy Mother three-handed. More about its founder and this miraculous icon you’ll learn from your host along the tour. And when we finish with sightseeing, culture and history we are stopping at one special place, a family owned wine cellar for wine tasting and lunch. In Fruska Gora you must try Bermet, local wine with world fame. During winter period wine cellar is closed and alternative for lunch is restaurant on the Danube bank, close to Novi Sad. After wine tasting and lunch we are ready to return to Belgrade, it’s only an hour drive. We had a great tour with our guide Andrija Vatović who was very knowledgeable and told us a lot about all the places we visited. The lunch and wine tasting were superb as well. Would definitely recommend this to anyone who would like to get to know this beautiful area. My friend and I did a private day tour of Novi Sad and surrounding area with Vlada this past summer. It was such a fun day topped with the most incredible private wine pairing lunch - absolutely delicious and such a fun time had by all! Vlada was so knowledgeable and patient in answering all of our questions, and even more helpful ensuring that we were all set with logistics leaving Belgrade. Serbian Private Tours was an absolute pleasure to book and deal with, and highly recommend! Looking forward to returning to the area and using them again! We had a perfect day with our guide Vlada. We were a mixed Serbian-Spanish group and the whole experience rase high above all our expectations. Vlada was so kind and knowledgeable and made this family trip a perfect one. We wanted to include Novi Sad and Petrovaradin to the tour, and they made some adjustments to make it work. 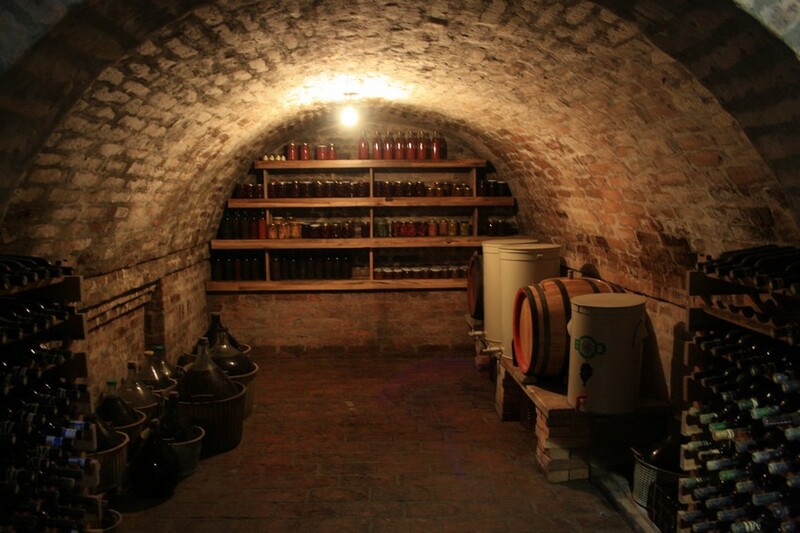 The highlight of the trip was the lunch at a family wine cellar Podrum Miljevic. Our host Dragan was another example of true warmth and kindness. All in all, a perfect day thanks to "Serbian private tours" crew. The comment is taken from TripAdvisor review page connected to our service, to see the source follow this link. A pleasant and fun trip. Highly recommended trip and the suggestions of Vlada, our guide. He explain us the history of Serbia and its art during a beautiful tour, we visited monasteries, like Krusedol, national park, Novi Sad and more. For lunch he took us to a winery restaurant of a nice family with a special homemade food and some delicious wines. We started by tasting raquija. I definitely recommend Serbian Private Tours-Vlada because he was correct in his choice of travel and food, he made our visit both instructive, enjoyable and lively. The comment is taken from TripAdvisor review page connected to our service, to see the source follow this link. We did the Fruska Gora + Sremski Karlovci + Novi Sad trip in a private family group of 7 people. Our guide Vlada was the perfect combination of knowledge and hospitality. He naturally brought an atmosphere of enjoyment to the experience, looking after everything the group would need or enjoy, while keeping up with the schedule. I would strongly recommend this trip or any variant suggested by this guide, fully trustworthy. Lunch was marvellous at Dragan's Podrum Miljević, a private family run guest house where we were taken for rakija tasting and lunch. 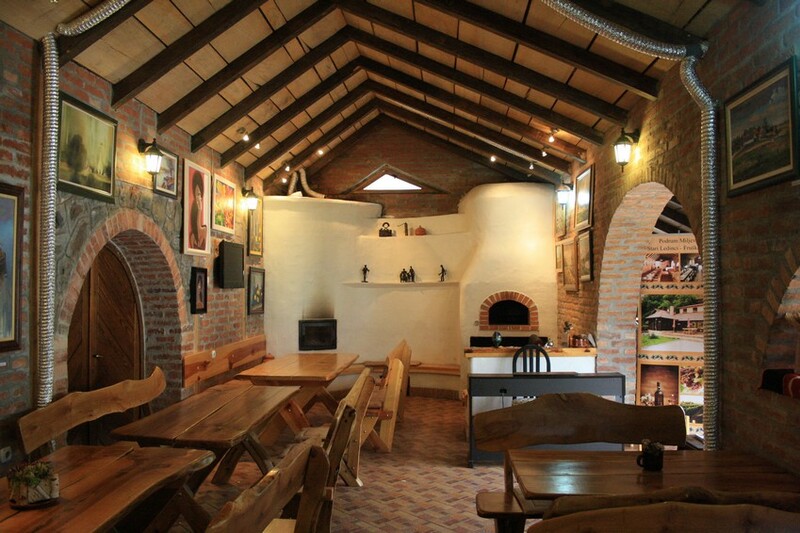 Exquisite home made food and wines in an easy, homey and fun atmosphere created by Dragan and his lovely family. All in all, highly recommended to do this trip with Vlada, stopping for lunch where we did, really made our visit to Serbia even more memorable. thanks guys!! The comment is taken from TripAdvisor review page connected to our service, to see the source follow this link. We really enjoyed this tour. Our host Vlada was very informative and knew a lot about the history and culture of the local area. We really appreciated his help and he went out of his way to give us more information when we asked about hiking in the area. Serbian Private Tours provided nice little personalized touches that made the experience extra special. We would highly recommend booking a tour with them. The comment is taken from TripAdvisor review page connected to our service, to see the source follow this link. Wonder what’s the best way to explore Serbia more in depth? Hire a trip with Serbian Private Tours!! We started out early one morning, picked up at the hotel for a ride through the city to see the sites -before heading north on the highway. Visiting monasteries and wining and dining, it was supposed to be lunch but we were treated with delicious local dishes and wine that simply were exquisite. Our guide! Our guide spoke very well English – and Norwegian! Friendliest guy you can imagine with huge knowledge about his country, a continuous history lesson – and a lecture Serbian social studies that we highly appreciated. A trip to remember, highly recommended – if we return to Serbia, which we most likely will – another trip with Serbian Private Tours will be on the program. Thanks! Our tour guide, Miljan, provided in-depth knowledge about the unique region and rich history of Fruska Gora. On our road trip, we visited many ancient monasteries and exquisitely painted chapels. We drove through the winding countryside visiting traditional villages, picturesque farms, and serene forests. 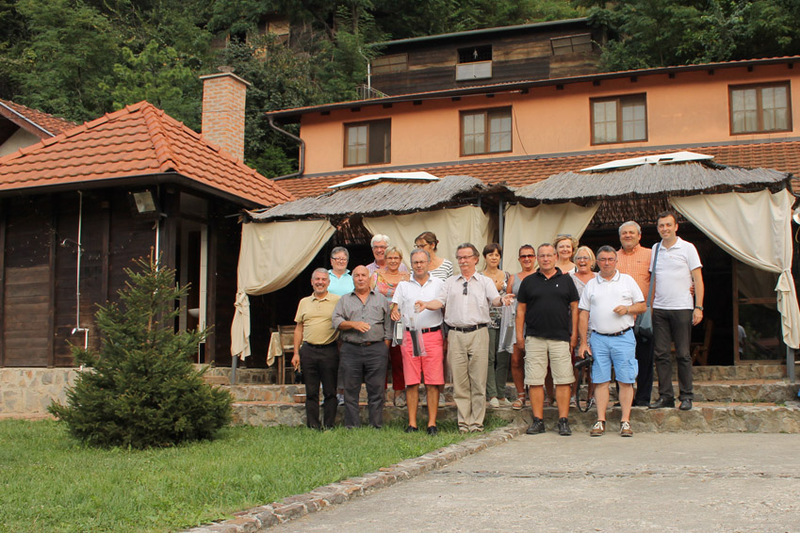 The personal introduction to our host at a local winery, Mr. Miljevic, added a very personal dimension. We were given a private tour of his wine cellar and we enjoyed sampling a variety of wines paired with five courses of a delicious home-cooked Serbian meal. 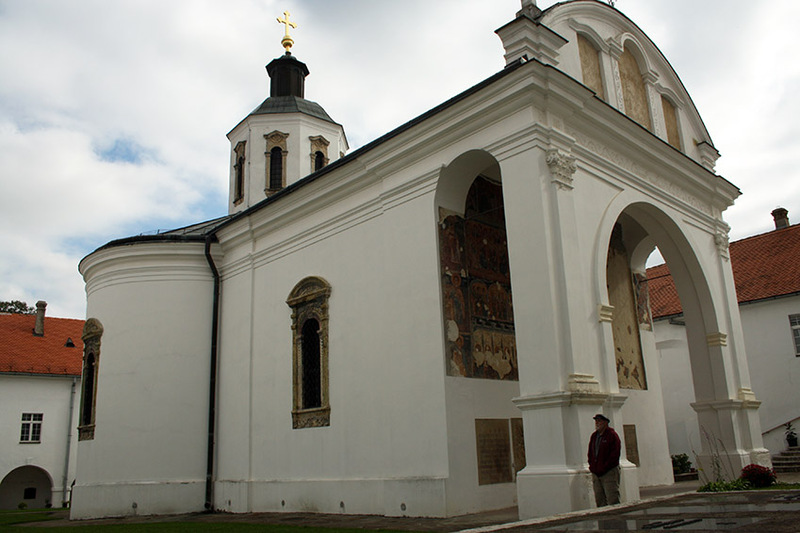 We took the Sremski Karlovci and Fruska Gora monasteries tour and were generally very pleased with the experience. Our guide, Miljan, was polite and informative, punctual and made the trip very interesting for us. The lunch was delicious and the wine superb! I highly recommend this tour and would certainly arrange another one for my next visit to Serbia. We had a wonderful time touring the Fruska Gora region w Vladislav. He was thoughtful and informative and sensitive to how long we wanted to stay at each site. The day was perfect...can't wait to do another tour on my next trip to Serbia. We spent a weekend in Petrovaradin and Miljan was our guide for a tour of Fruška Gora, its monasteries and Sremski Carlovci. Both my husband and I could not walk long distances and this tour was easy on us. The monasteries are very nice and we even witnesses a baptism ceremony in one of the churches. The day ended with a meal at the winery which was very good home cooking. This was a nice and easy tour even though the weather was not very collaborative. Miljan took pictures of us during the trip. They waited for us upon our return to the States. It was a very nice gesture on his side and very nice remembrance of our trip. We spent a great day visiting Fruska Gora National Park and its monasteries and the city of Sremski Karlovci. Miljan is a great guide, very knowledgeable and passionate, and everything was extremely well organized (he even provided us snacks and drinks during the drive!) After the visits, we had a fantastic lunch in a rustic restaurant and we also had the possibility to do some wine and rakija (traditonal spirit) tasting. This was one of the best experiences I have ever had with a private tour, and I would recommend Miljan to anyone who asked. We spent a weekend in Novi Sad and on Saturday took a trip to Fruška Gora with Milan. We had a really nice day visiting the town of Sremski Karlovci and a few beautiful monasteries and enjoying some delicious local food and wine. Milan is a friendly, knowledgeable and trustworthy guide who ensured that we had a great time. Highly recommended. Visited Fruska Gora and number of monasteries in the area, very informative trip with honest guide. He took the time to answer tons of questions. We ended our trip at local winery, people were hospitable and very friendly and the food was great. FULL appreciation of the whole service we received during the one-day tour to Fruška Gora and Novi Sad we had Jan 2nd 2015! From the very first moment 'till the end of the day Miljan has been more than a great guide... he has actually been a real and precious tour companion (always ready, polite, precise and caring)! Higher than highly recommended! I was looking for an easy day trip with my parents from Belgrade. I found SPT website, and after spending a little time perusing the various options, decided on the Fruska Gora trip. I booked it cold, based only on the quality of the website and the good reviews. Miljan confirmed by email shortly after I booked the tour, and he picked us up at my apartment. His English is perfect, and we had a very pleasant chat on the short drive to Fruska Gora. 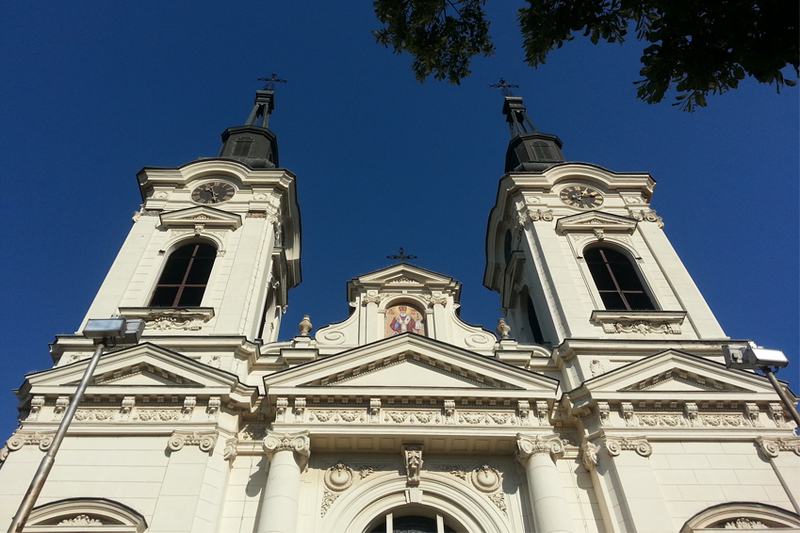 We visited three monasteries and the charming town of Sremska Karlovci. After the visits we had a fantastic dinner at a rustic lodge run by a very charming host who makes everything--cheese, wine, prosciutto--himself. I bought two bottles of his excellent pinot noir to bring home with me. Miljan was very knowledgeable about all of the sites we visited, and he also gave me some excellent recommendations about restaurants and wine in Belgrade. He followed up on Tuesday with some wonderful photos and an answer to a question I had posed on the short drive back to Belgrade. This was one of the best experiences I have ever had with a private tour, and I would recommend Serbian Private Torus to anyone who asked. Did I mention that he gave us cookies as a small present when he dropped us off? Perfect. I could not be more satisfied with the day. Grâce à Miljan j`ai eu le bonheur de découvrir le massif de Fruska Gora et quelques uns des plus beaux monastères de la région. L`organisation était parfaite. Le programme avait été défini `sur mesure`, en fonction de mes souhaits. Les commentaires étaient très bien documentés. Surtout, nous avons pris le temps de visiter à l`aise les monastères, de manière à pouvoir profiter pleinement de ces lieux uniques. J`ai apprécié la prévenance et la gentillesse de Miljan. Merci. I was lucky to have Miljan as a guide for my two days in Belgrade. Professionally, he is punctual, flexible, and knowledgable. Personally, he has a great sense of humor and open-mindedness, and is someone who will make you feel comfortable. Miljan also was very thoughtful, with providing us snacks and drinks for the long drives, and often checking in to make sure we were enjoying ourselves. Prior to the trip, he also spends time planning with you over email to make sure he understands your needs. I highly recommend you this tour to discover the beauty of Fruska Gora and to learn about Serbia’s history, more paticularly Voivodina. Miljan makes you feel comfortable and I spent a really wonderful day. Thanks for everything. 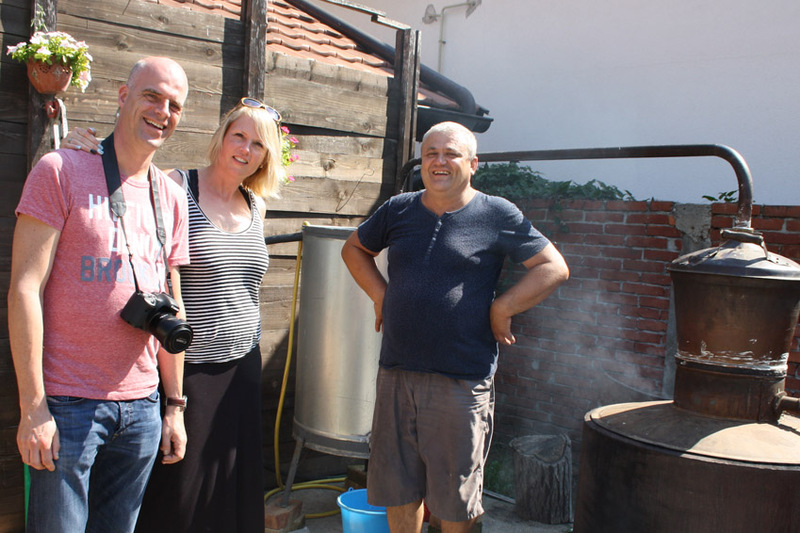 We spent a day with Miljan touring monasteries and winemakers with 100km of Belgrade. This was a fantastic day trip and it was great to get away from Belgrade without travelling hours in a care. Miljan is knowledgeable and is open to suggestions and is spontaneous if you show an interest in something along the way. In addition, he took some wonderful photos of us which he shared with us later. Very much recommended.